Zane Grime, is a member of the 'Vapers Unite Group' on Facebook, and has given this juice to me, for the purpose of review. This is a written review of 'Green Fairy' and my opinion of this juice will be my true and honest opinion as always. The juice I am reviewing is 12mg 50pg/50vg. The bottles all come nicely labelled, and Zane has since told me, that all bottles from now on, will come with tactile warnings and child safety caps. The liquid is vividly Green in colour, hence it's name 'Green Fairy', and I am using a dripper at 2.2 ohms on my vamo set at 9 watts. On opening the bottle, A beautiful strong aniseed/liquorice aroma, with notes of black liquorice, similar in smell to pernod or Green Fairy Absinthe. I got subtle hints of herbs and spices, but too many to single out. It was created with Green Fairy Absinthe in mind and is another juice, not unlike Mad Murdoch's Pluid, rich and potently strong in flavour. 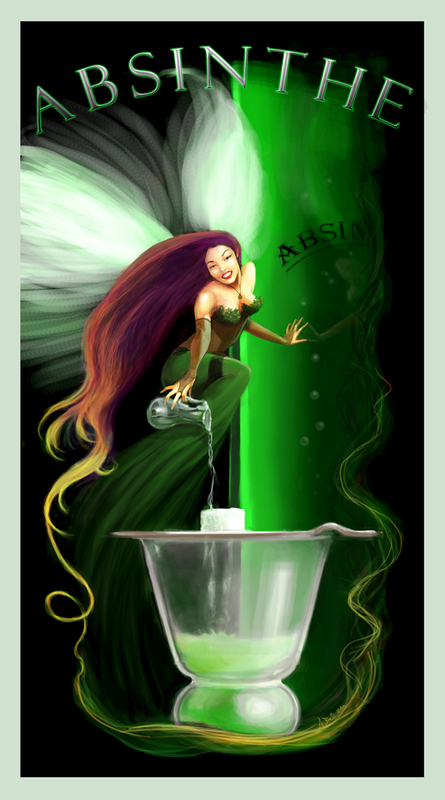 The Green Fairy, as it became commonly known, was most popular in France. Most days started with a drink and ended with the "green hour", as It was used as an aperitif, and It is interesting to note that it also has aphrodisiac and narcotic properties. Absinthe is an alcoholic drink made with an extract from wormwood. It is an emerald green drink, which is very bitter, and is therefore traditionally poured over a perforated spoonful of sugar into a glass of water to sweeten the flavour and take the bitterness of the wormwood away. 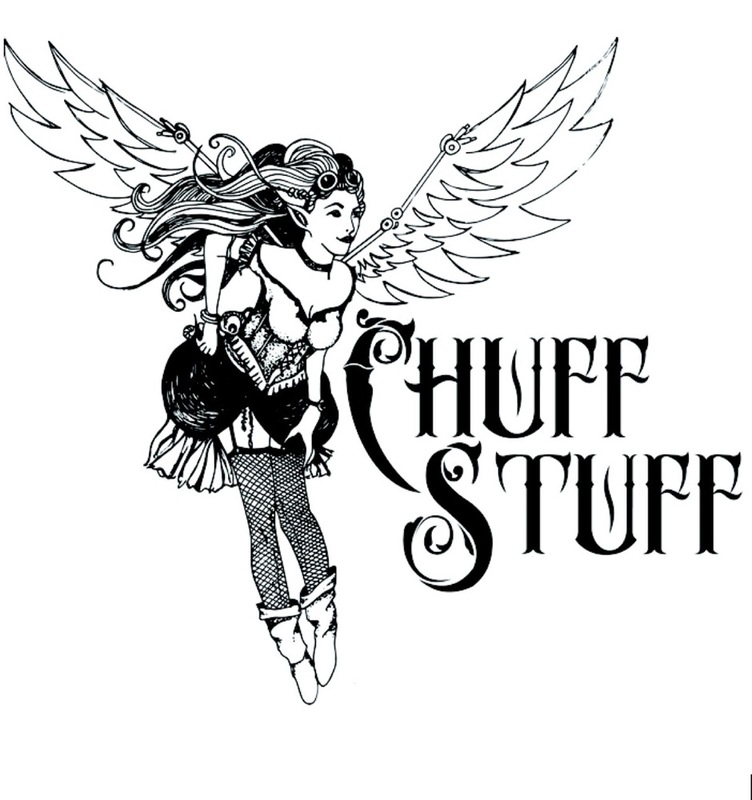 Mad Murdoch's Pluid, is on the same lines as 'Green Fairy', but 'Pluid' is much stronger and potent than you original Absinthe, and many more flavours have been added to give it a totally different edge. It has been purported to have psychoactive effects, as the mixture is made up of 10 different herbs and spices and is extremely strong. There are different varieties of absinthe, and the one I am reviewing today is similar to the alcoholic drink, 'Pernod Absinthe'. On the inhale, a powerfully rich, deep liquorice flavour, with predominantly aniseed flavours on the palate. Very sweet and heavy on the anis, with some hints of aromatic herbs and light woody notes of bitterness, resting on my tastebuds and giving it the true character of the wormwood. Star Anise would be used sparingly in this, as it is easy to overpower the more subtle herbs that are mingling in the background of this juice. I found this to be a more subtle version of Pluid, but still with the strength you would expect from a good absinthe. 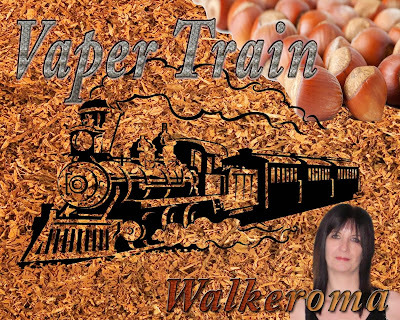 It is very likeable, and very addictive, as once I picked it up to vape, I couldn't put it back down. Absinthe is historically described as a distilled, highly alcoholic beverage. It is an anise flavoured spirit and is derived from botanicals. This is also a drink that inspired poets and artists alike, and there are many variations. Too many to mention. On the exhale, hints of green anise seeds, very strong, leaving the tongue and the mouth with a tingly, warm feeling. It stimulates the senses as well as the appetite, and leaves you craving for more. Both sweet and aromatic, comparatively strong, and with a subtle spiciness giving the juice a warm edge to it. This is a juice I couldn't vape all day, but I would most certainly enjoy it with a beverage, after a meal or on special occasions. This juice being only 12mg didn't give me the throat hit I was expecting from a 12mg juice. I am used to a higher nicotine content, but it was still very pleasant just the same. I was very happy, to share with you, The Spirit Of The Green Fairy. If you like your 'Absinthe's', then you will enjoy this. Contact Zane Grimes on facebook or go along to his website, which is www.z-manvapejuice.co.uk where he will be more than happy to assist you.